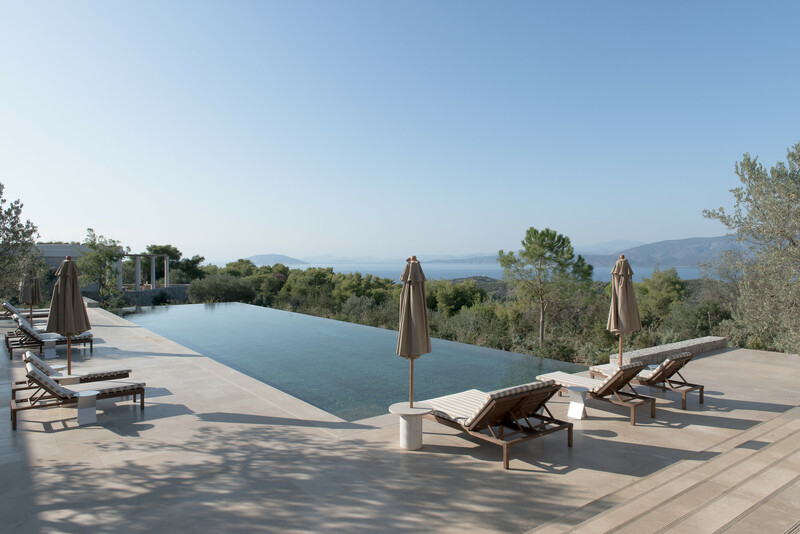 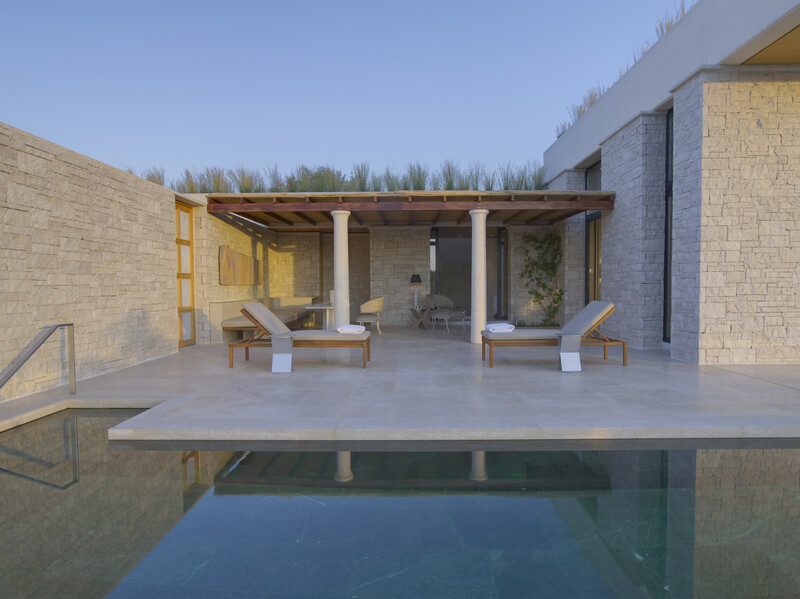 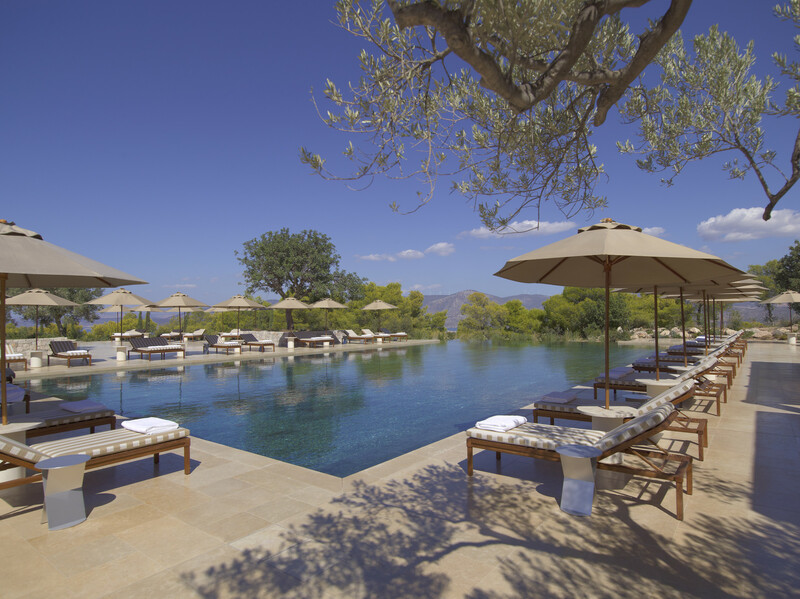 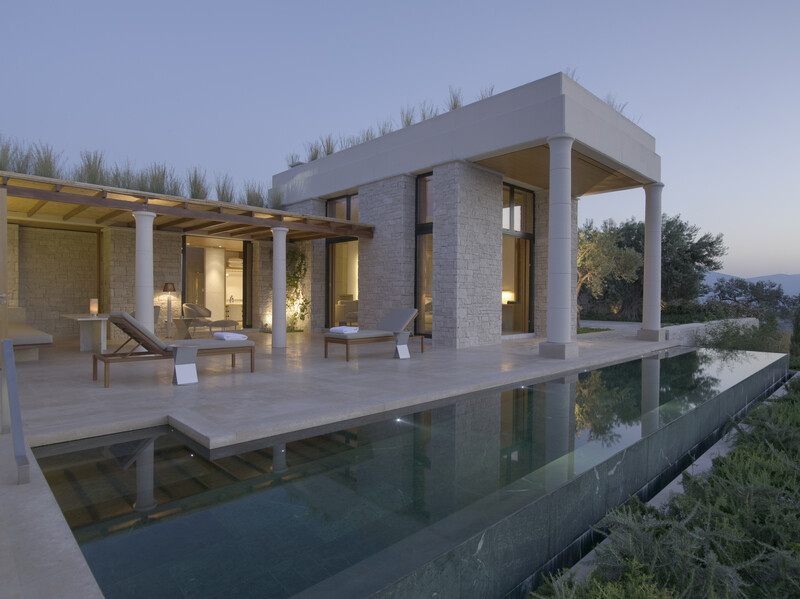 Set on a gentle rise surrounded by undulating olive groves, Amanzoe’s 360-degree views take in the Peloponnese countryside and rocky coves. 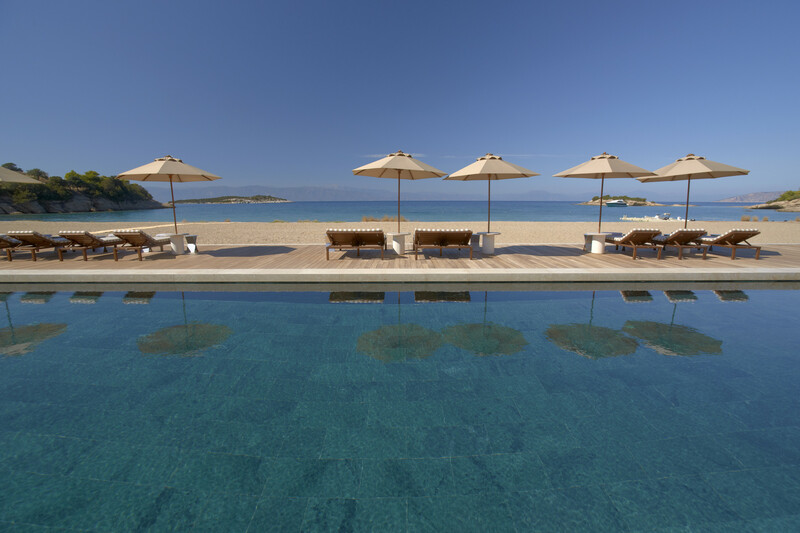 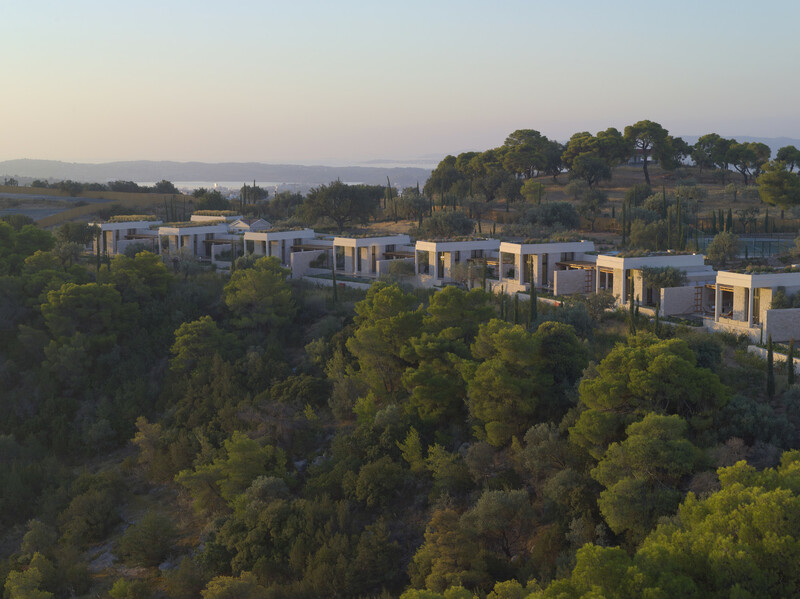 The resort is within easy reach of a wealth of archaeological sites and bustling Porto Heli. 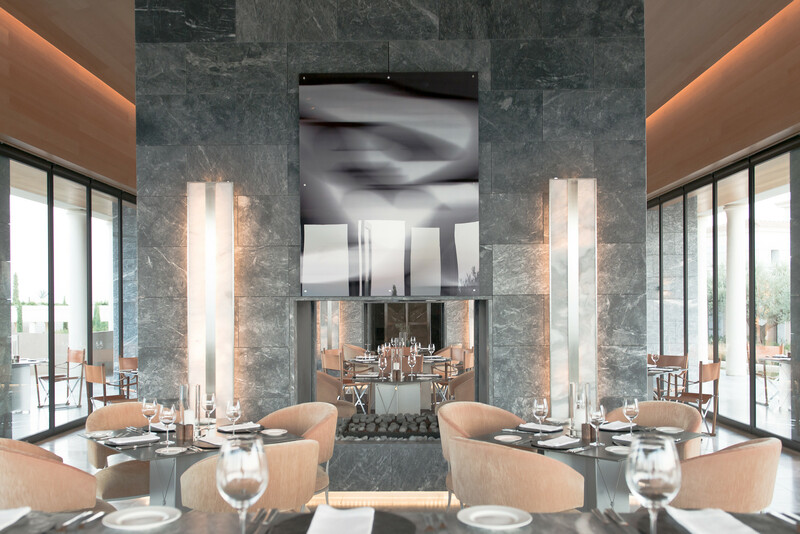 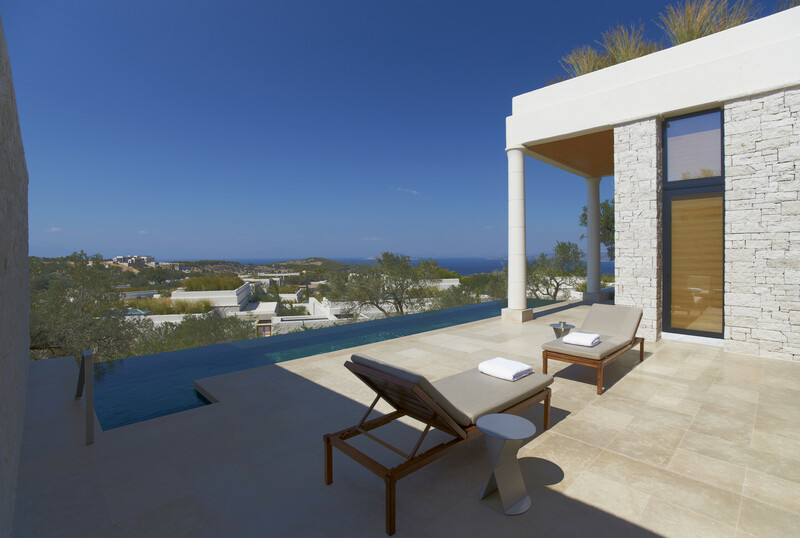 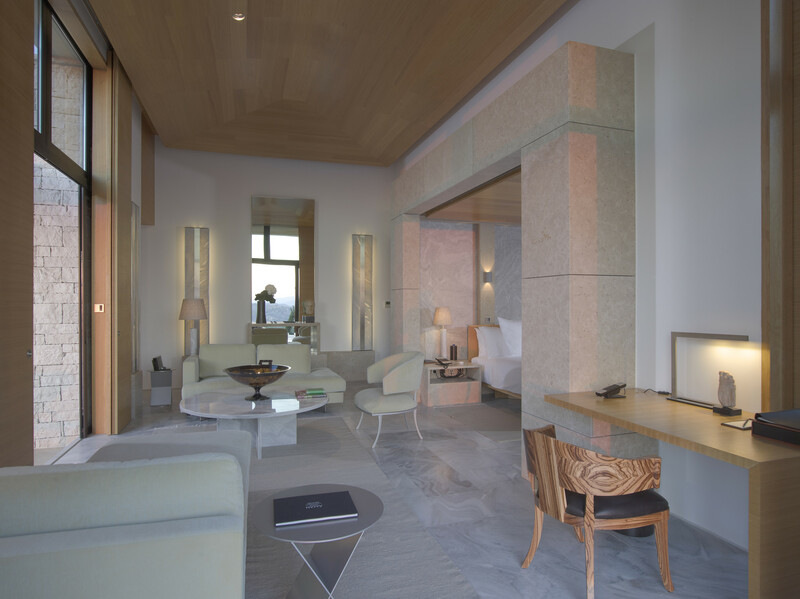 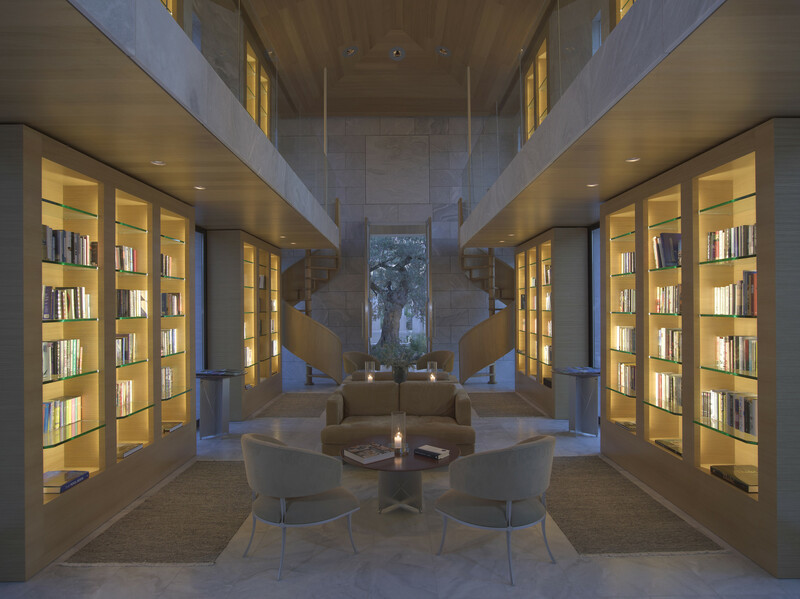 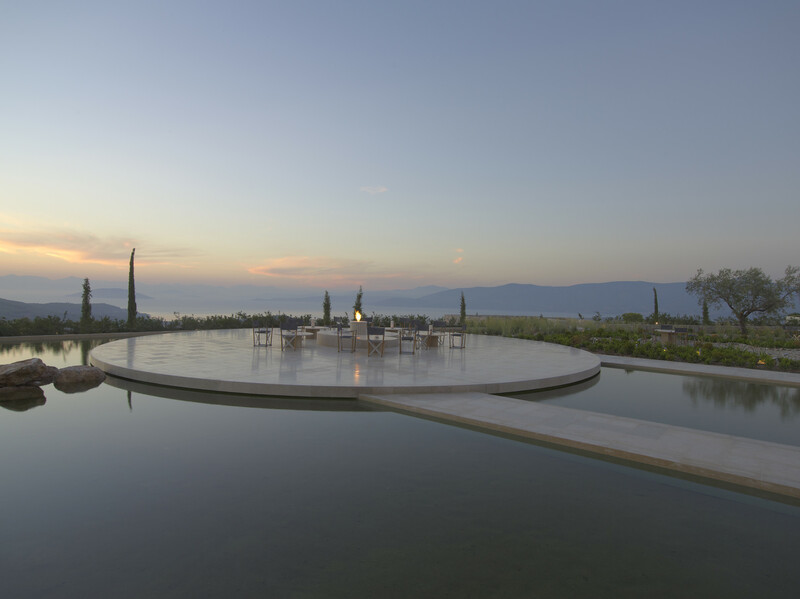 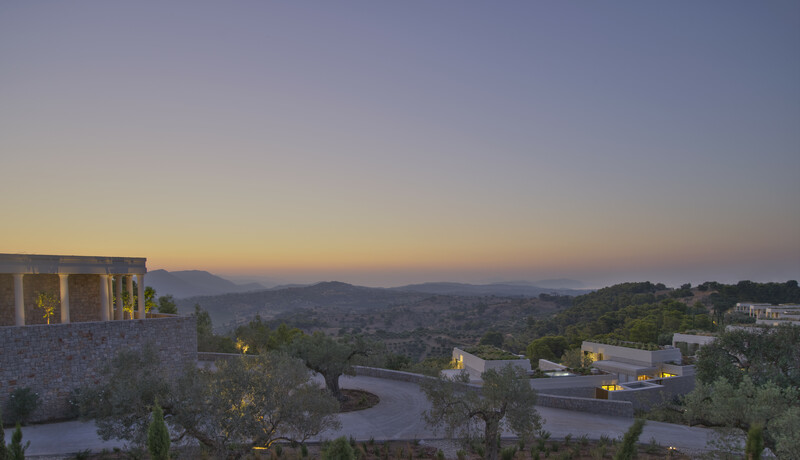 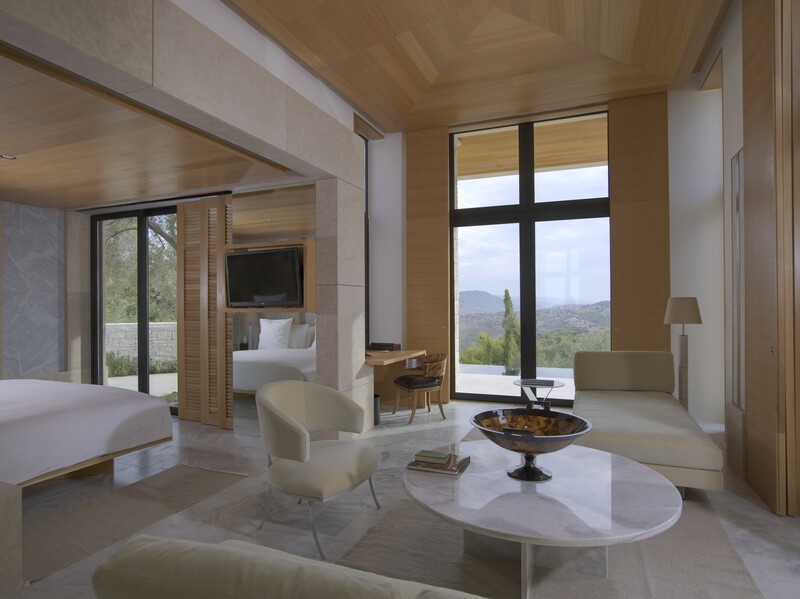 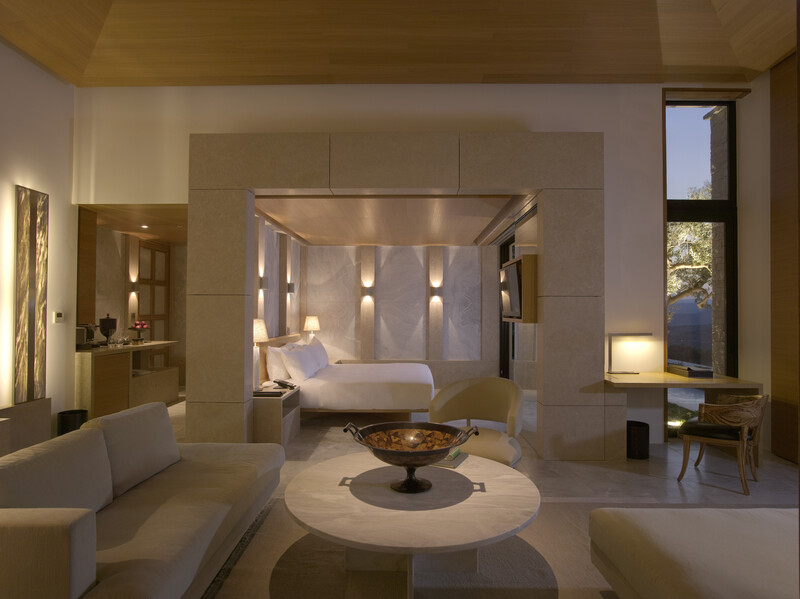 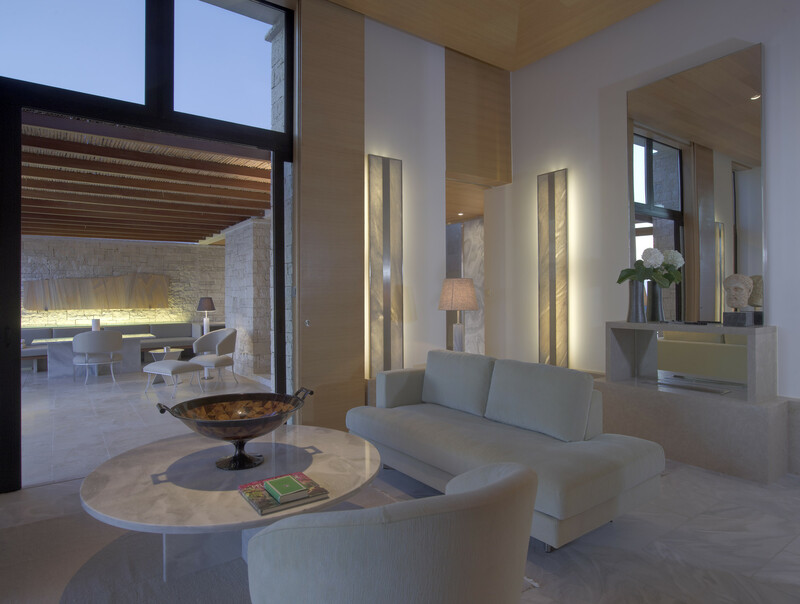 Dotted across the hillside, Amanzoe’s Pavilions and Villas are classical in inspiration and contemporary in attitude. 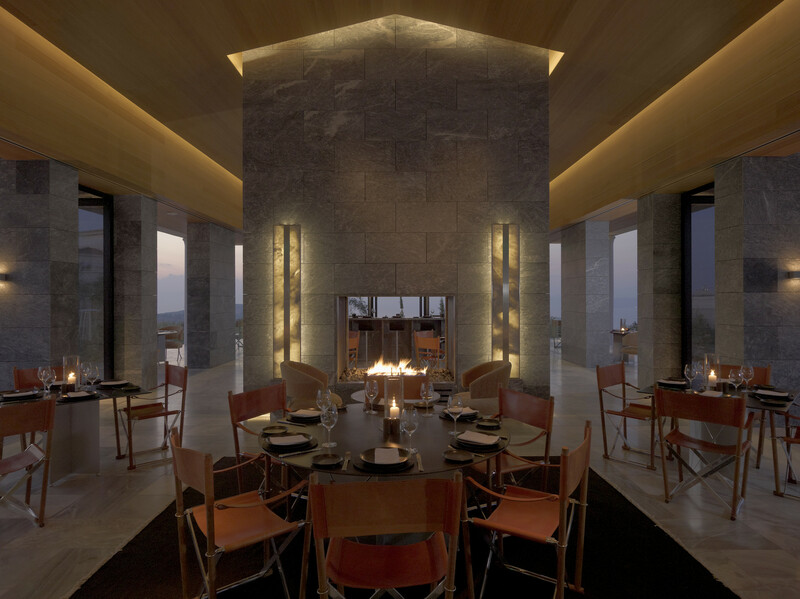 Elegantly simple Greek and Mediterranean dishes emphasise local produce, including a range of fish delivered fresh daily. 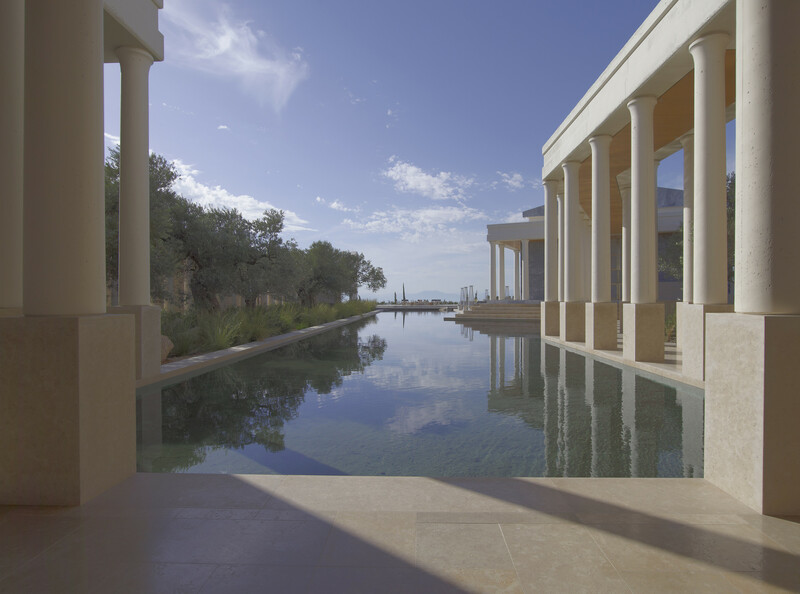 Eight treatment rooms offer massages, scrubs and wraps alongside a Watsu pool and moonlit yoga in the amphitheatre.